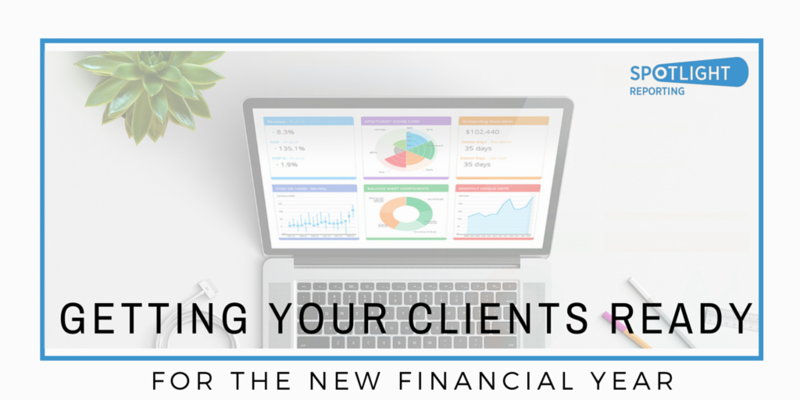 The new financial year is a good time to review how the past twelve months have gone for your clients. It’s also a great time to look for ways to help them plan and forecast the coming months ahead. We’ve put together some guidance on how you can utilise Spotlight’s tools to review the previous financial year and prepare your clients for the year ahead. Did their business grow or contract? How are their sales trending? What was their level of expenditure? How did they measure up against their KPIs? How did their revenues and profits compare with the previous year? You should be presenting how their business has changed since the end of the previous year. If it's grown, what can we do to continue that growth? If it hasn’t, what were the reasons? Review their goals and KPIs from the last year and ask your clients what their goals and aspirations are for the coming year, don’t just presume they are identical. They could include: expansion; hiring more staff; increasing business from current clients; saving for a home; or increasing their retirement savings. 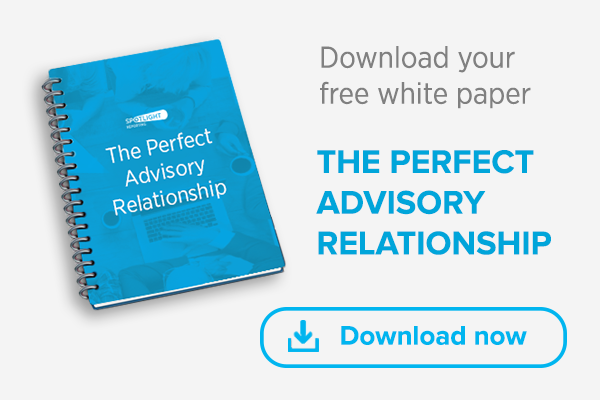 Look at what could impact your client’s ability to achieve their KPI’s and how you measure their performance against them. For example, one goal could be to achieve £100K of income per month. This data is captured in accounting software, but what contributes to them making (or not) this income goal? You can break down the goal into contributing factors and then determine what data you need to capture to measure those. That way you can clearly measure their KPIs and provide informed advice on these. We recommend you advise your client on any new legislative changes that can impact their business. For example the payroll changes for the new financial year could make life much harder for small businesses. How do they affect your clients? You can reinforce the impact of legislative changes by incorporating them into the ‘recommendations for action’ section of their Spotlight report. Any reminders that relate to these changes can be captured in this section throughout the year. This is a great way to keep the changes front of mind for your client. Cash is the lifeblood of any business. Consider incorporating any legislative changes into a cash flow forecast for your clients so they can visualise the impact to their business over the coming year. If these changes could cause cash flow strain, you can run multiple scenarios to show how they could alleviate it. Are they using online accountancy software? Are they capturing their bills, receipts and invoices digitally? Are they struggling to get paid on time? Are they tracking their staff’s time? Are they keeping track of their stock levels? Utilising Spotlight’s tools you can review the past year with clients, help them set KPIs, illustrate the impact of any new legislation and make suggestions to improve their financial efficiency. You can have more valuable conversations with your clients and prepare them for a great financial year.